Welcome to Havana Manor. 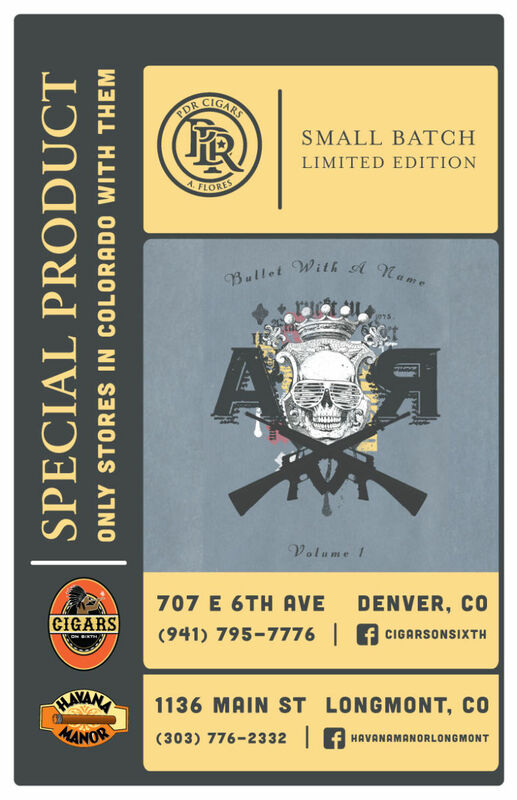 The finest cigar & pipe shop in Colorado. Charlie Watson & Travis Pappenheim will be back at Havana Manor on Friday March 29th from 4PM-7PM for a Build A Box Event. 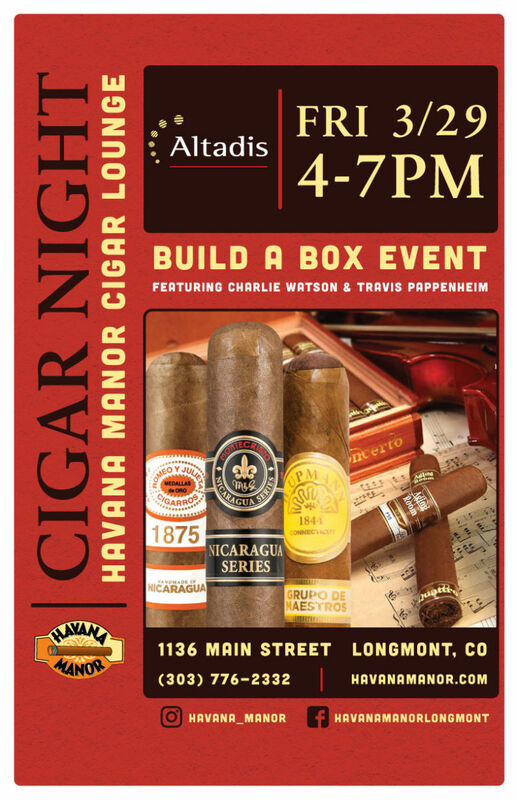 They’ll be showcasing the Montecristo Nicaragua blend, Romeo y Julieta 1875 Nicaraguan blend, H. Upmann Connecticut, and Aging Room cigars for an excellent price, we can’t wait to see you there! 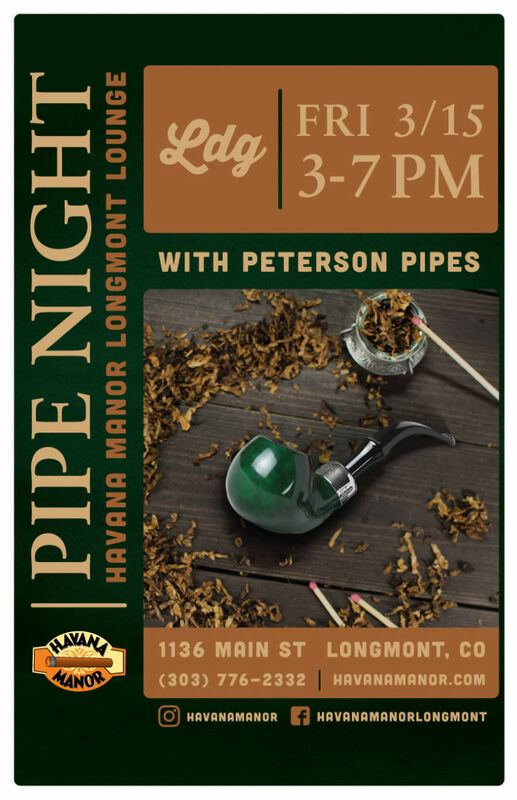 Check out the new line of Peterson St. Patrick’s Day pipes at the Laudisi Pipe Night at Havana Manor Longmont on Friday March 15th from 3PM-7PM. 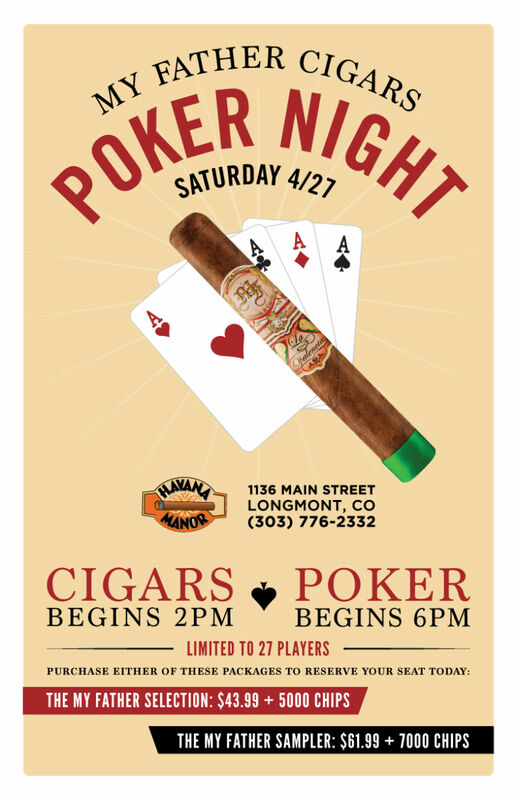 Come have a Rocky Patel at Havana Manor on Thursday March 7th from 4PM-7PM. If you’re a Rocky Patel smoker or curious about the brand, then this is a wonderful opportunity to get good deals. Please note: Hamlet will no longer be in attendance. 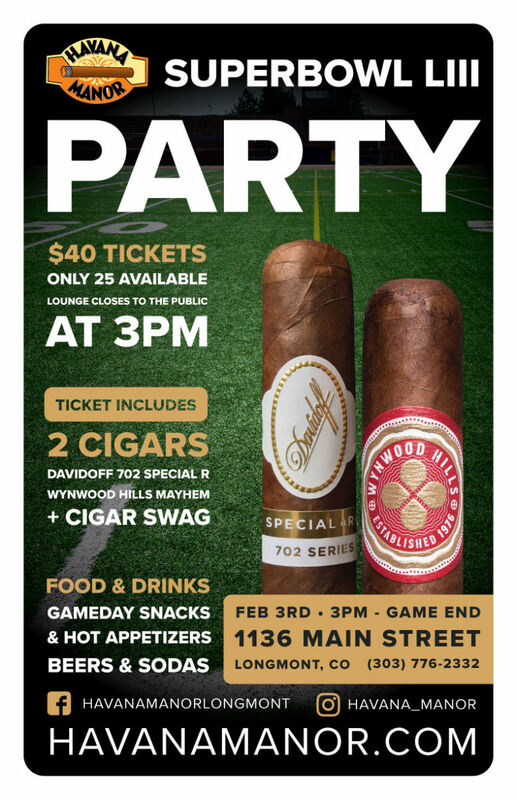 Tickets are now available for our annual Super Bowl Party! Tickets are $40 and include, exclusive lounge access starting at 3pm, food, drinks and 2 cigars. 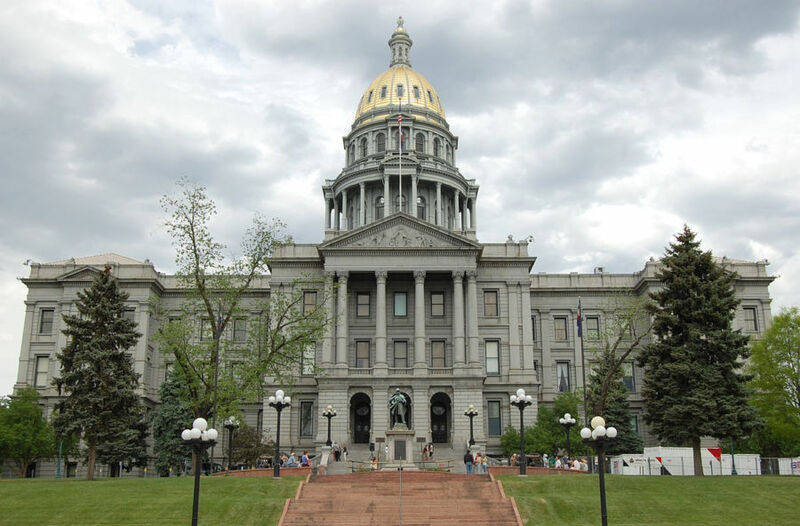 Contact your members of the Colorado General Assembly and respectfully ask that they VOTE NO on HB 1033. 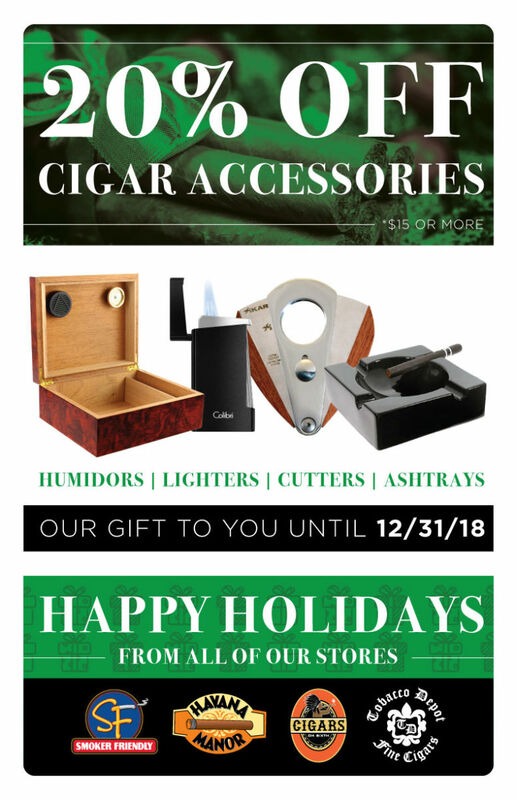 Havana Manor will be running a holiday offer of 20% off all premium cigar accessories and humidors $15 or more. This offer will start Black Friday and run through December 31st 2018.